Mag-Trol Distributors, Inc.. Industrial Motor Control| Solid State Controls | Distribution Products & Services| Mag-Trol Distributors, Inc.
Why buy a whole new product that'll cost you hundreds of dollars? With motor control replacement parts and services, you save money. Mag-Trol Distributors, Inc. has over 60 years of combined experience in the motor control industry. Our highly trained sales staff will provide complete replacement services. 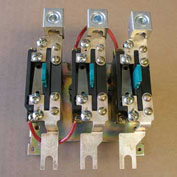 We carry parts for industrial circuit protection, solid state controls, and motor control. All you have to do is give us a description and information about your part and we help & guide you in finding the part you need. With a cornerstone of service, Mag-Trol Distributors, Inc. helps customers with knowledge, helpful answers, and competitive pricing. Our team guides you through choosing the right part for your application. 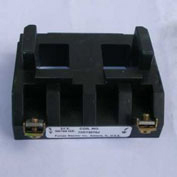 At Mag-Trol Distributors, Inc., we only carry new, name brand parts to suit your motor control needs. With thousands of parts in stock, we're your one-stop shop. Whether you're a wholesaler, end user, or just need to know if the part is in stock, give Mag-Trol Distributors, Inc. a call.